About one-quarter of the city’s 82 public schools now have filters that remove lead from drinking water. They were installed this fall, one year later than expected. 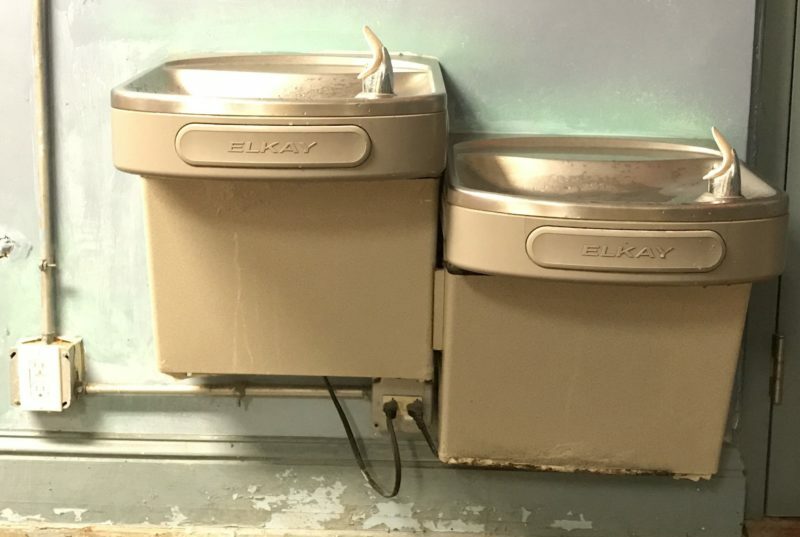 In total, 23 schools have received the triple-filter units that remove nearly all lead from drinking fountain water and will protect against microbes that could be found during boil water advisories, according to school district records. Another 10 schools are slated to receive the filters by the end of December, but the project likely won’t be complete until the summer of 2019. The filters are part of a long-awaited promise made in 2016, the same day officials in Michigan were indicted for crimes related to the Flint lead contamination crisis. That’s when the Orleans Parish School Board and the Recovery School District announced they would test school drinking water for lead. After the Sewerage and Water Board raised questions about the districts’ plans — requesting the districts allow higher levels of lead before conducting the tests — and school officials consulted with experts, the districts decided to install filters instead. They initially promised to do it last fall. It’s been a slow process. After taking months to make the decision, request bids, and select a contractor, the contract had to be re-bid last fall. Even after the Orleans Parish School Board selected the same contractor again, it would be months before they’d finalize an agreement and install the first filter in August. The School Board allotted $800,000 to install the filters in district-owned buildings. The district doesn’t know if it has a lead problem. It appears that only one New Orleans school — Dwight Eisenhower Academy of Global Studies — has been tested recently under a new state law. It could be the first in decades, since the district completed initial testing right after the federal Lead Contamination Control Act became law in 1988. Eisenhower, one of 12 schools tested statewide this year in a pilot program, was found to have one kitchen faucet at 15 parts per billion. That’s the action level for the city’s water system as a whole but lower than the 20 parts per billion the EPA suggests as the threshold for when to remove a school drinking fountain. Eisenhower is run by InspireNOLA charter schools. Its CEO Jamar McKneely said the school is still able to use water from the faucet because it falls below that 20 parts per billion threshold. He said the school district decided the school should run the water on that faucet for one minute before using it. He said the school’s food vendors have been instructed to do that. The U.S. Environmental Protection Agency “strongly recommends” schools test drinking water for lead. State law says schools and daycares are required to provide an environment “free of lead contamination,” though it doesn’t appear to require water tests. But there is no safe level of lead, and children are especially susceptible to lead poisoning. In 2016, the two school districts initially set a threshold of 10 parts per billion. After the Sewerage and Water Board questioned their reasoning, it was raised to 15. Both levels are substantially higher than the American Academy of Pediatrics’ recommendation to shut off any school water fountain with a lead level higher than 1 part per billion. The district is also supposed to install filters for kitchen water. It’s unclear if that contract has been signed yet. The district did not immediately respond to a request for comment on the kitchen filters. Marta Jewson covers education in New Orleans for The Lens. She began her reporting career covering charter schools for The Lens and helped found the hyperlocal news site Mid-City Messenger. Jewson returned to New Orleans in the fall of 2014 after covering education for the St. Cloud Times in Minnesota. She graduated from the University of Wisconsin-Madison with majors in journalism and social welfare and a concentration in educational policy studies. The move comes one week after a 7th-grader’s water test prompted action. Dozens of other New Orleans public schools are still waiting for lead filters.